Much of the effort to confront the opioid crisis in America has focused on young adult and middle-aged populations. But a new study finds that more older adults, including those in Kentucky, are showing up in emergency rooms because of opioid misuse. 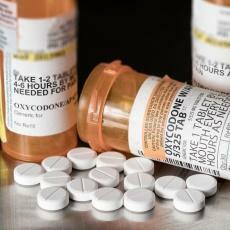 The results of the study, published in the journal Innovation in Aging, show that nationwide, emergency room visits due to opioid misuse by adults 65 and old more than tripled between 2006 and 2014. That increase was determined using data from emergency departments at hospitals in 34 states. Associate Professor of Health Sciences at Towson University Mary Carter is the lead researcher on the study. Carter said that during the five-year period from 2009 to 2014, the number of Kentuckians over 65 who visited emergency rooms for opioid misuse rose from 265 to 616. In a review of 2014 data only, Carter found the data suggests that nationwide adults age 65 and older accounted for slightly more than three percent of all opioid-related emergency department visits. That's a total of 9,170 ER visits by these older adults for opiod-related issues for that one-year period. Kentucky is one of the top five states in the nation for drug overdose deaths. Leaders in law enforcement, medicine and mental health are struggling to find ways to slow the pace of this tragic epidemic. An addiction recovery residence for women in Henderson is adding creative expression – including dance - on the path to a healthier lifestyle. In a bright community room at the Women’s Addiction Recovery Manor in Henderson, Kentucky, dancer Tim June is choreographing a story. “I decided to choreograph the piece more towards the future rather than the past,” said June. He is one of one of 10 dancers from the Indianapolis troupe Dance Kaleidoscope collaborating with residents at the recovery center in a program called Turning Points. Kentucky’s opioid addiction epidemic sometimes takes its toll on the most vulnerable in society – babies. Now the healthcare services company LifeSkills is opening a new substance abuse treatment center in Scottsville. It will accept pregnant women, as well women with infants up to 10 months old. Geneva Bradshaw is program manager for Park Place Recovery Center for Women. Bradshaw says pregnant women pose a major risk to their babies when use they opioids.